And there is always a beginning ! !I was down with a bout of flu and ill health, coupled with the pain of leaving my mom n dad to the bus station....I was feeling low. 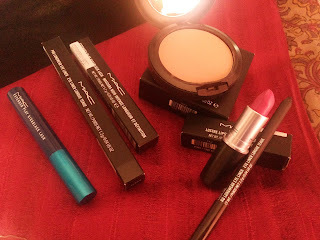 My husband came up with the idea of visiting the M.A.C shop (Yes, he knows all the brand names). I somehow googled the wrong place...the one I googled was that of an Apple showroom as Google gave me the hit for buying Apple MAC-pro...after a good 20 minutes we realised that we were in the wrong place and did a whole detour to get to the correct place. I went to the M.A.C store in Koramangala. It's not a stand alone store like that at MG Road, but more of a let out space within Shopper's Stop. By the time I reached the store it was 9:10 pm. I was pretty happy with the standard of hygiene that they had, it had to be especially, when you have all the lipsticks out in the open for the common crowd to use. Amply lit space with lot of mirrors, seating area for some quick makeup session by the MUAs. The MUA was attending another customer and she asked me to have a look around. The MUA attended to me in between, but then again had to leave owing to prior customer demands. Me and my husband decided in on the first M.A.C lipstick I was gonna invest in: Lusturing in M.A.C Lusture series. Next up, being an eye person through and through, I enquired the MUA (She was free by then) for an eye pencil which is smudge proof. She suggested the Pro Longwear Eye Liner.The MUA told us that she was busy throughout and apologized for not attending to me. By 10:00 we were out of Shopper's stop after making the two purchases. 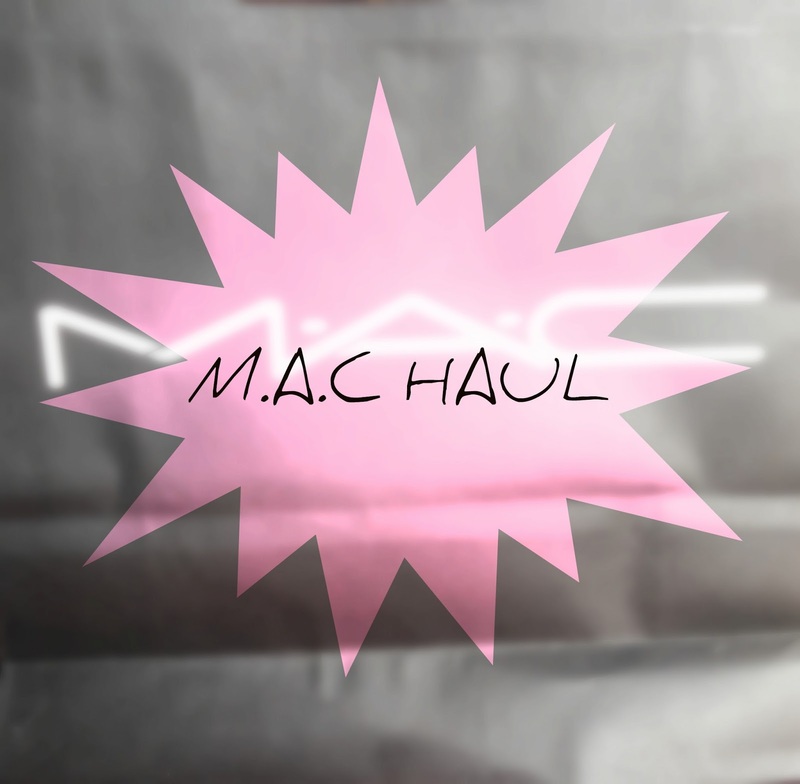 Recently, I was low and the guy pushed on to the MAC store to cheer me up. This time we were a tad bit early, 8:00 and there were two MUAs around. The one that we met last time was busy this time too, I had another MUA help me out with a mascara and foundation. She listened to my requirement for a non-waterproof, non clumsy, non flaky mascara and suggested the Extended Play Gigablack Lash masacara. After much contemplation I decided I would invest in a good pressed powder as compared to my first choice of foundation, which I will be hardly wearing on a day to day basis. I purchased the Studio Fix powder. In between the MUA went in to suggest some tips to another customer. This irked my husband who kept on saying to me, "you came in first". She came back after a good 15 minutes to help me with my powder application. She showed me techniques for applying mascara and powder. All in all a delightful experience, a big dent in my pocket and a small but wise investment as far as makeup purchases go. Let me know if you would want me to review any of the below products. I will immediately grasp your rss feed as I can not to find your e-mail subscription hyperlink or newsletter service. Do you've any? Please allow me understand in order that I may subscribe. Thanks. 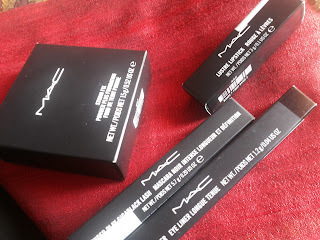 I did try the MAC powder and it didn't suit me so I turned over to MakeUp Forever(MUFE) and sweared by that I ll be using only that powder till I find the next best thing..
Love your blog babe,,, mind to follow each other? Let me know! amazing neew products!! 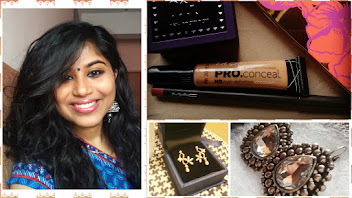 :) would you like to follow each other on Google+, GFC, facebook and bloglovin?? let me know dear:)) happy weekend! What about following each ohter? Just let me know! It's actually a great and helpful piece of info. I am glad that you simply shared this useful info with us. Please stay us up to date like this. Thanks for sharing. 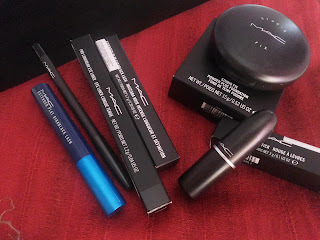 Yes MAC products suits are skin color the best I think next to Bobi Brown. MAC concealer is really good too.